Our unique Blocker brake system on the Roxx - the NEW original - takes account of the intuitive actions of people. It protects people who can still get up themselves but who sometimes forget to put on the brake on their wheelchair. 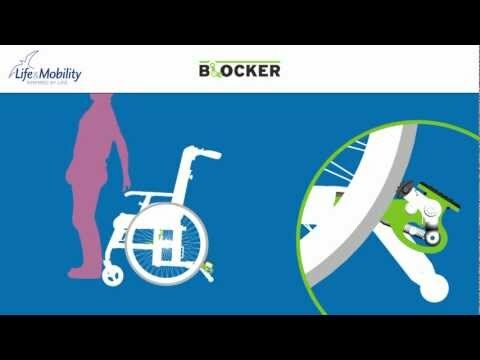 The Blocker brake system automatically blocks the wheelchair when the user gets up. This can reduce the number of falls or even prevent them. Life & Mobility thinks about everyone.